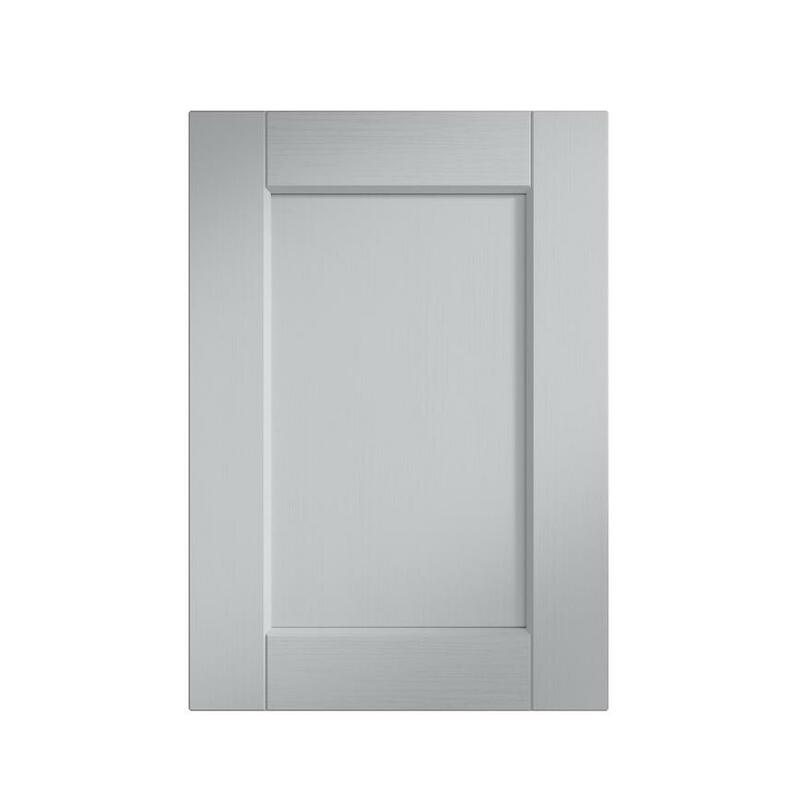 Choose this classic five-piece Shaker cabinet door in modern grey for an on-trend kitchen with traditional style. 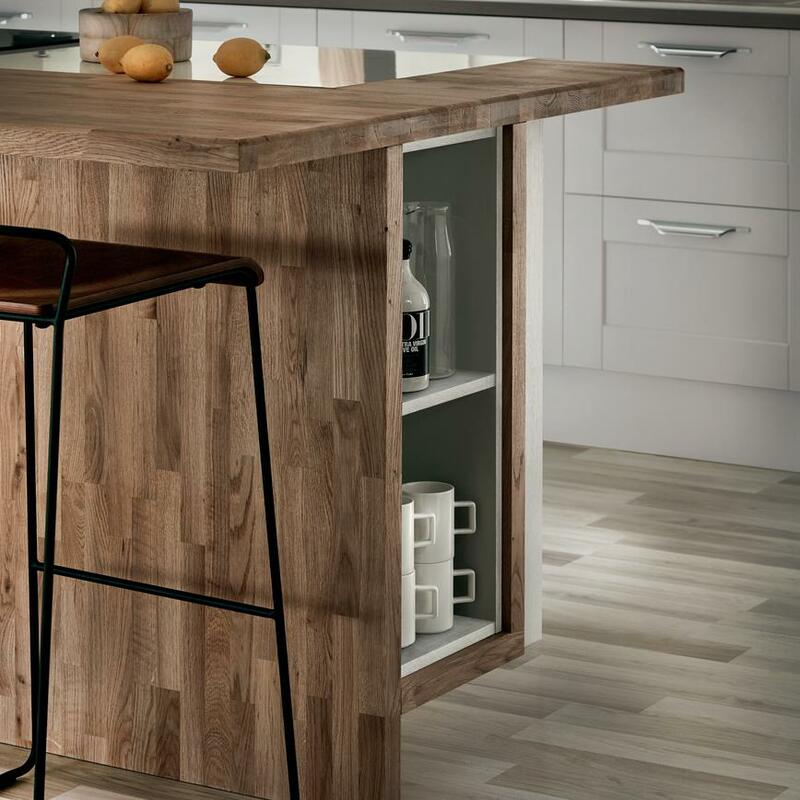 The wood grain effect of this 19mm-thick door echoes the look of solid timber. 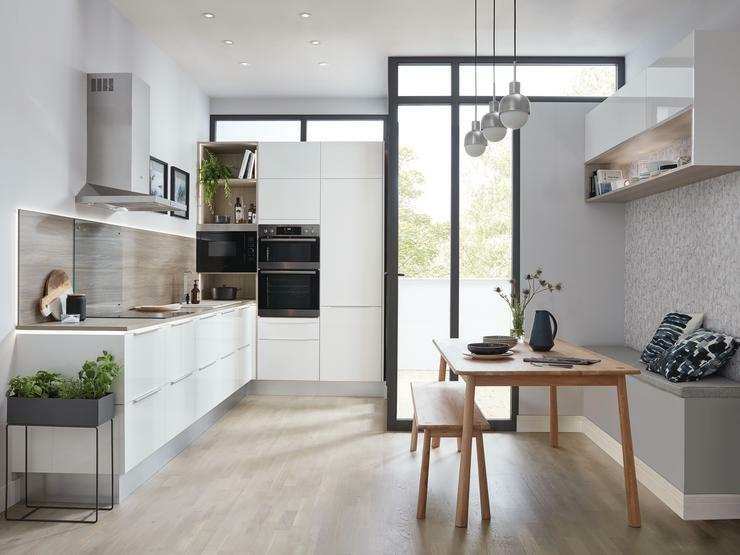 Customise the kitchen with a bank of tower units for a linear look, or half-height wall units to keep wall space uncluttered. 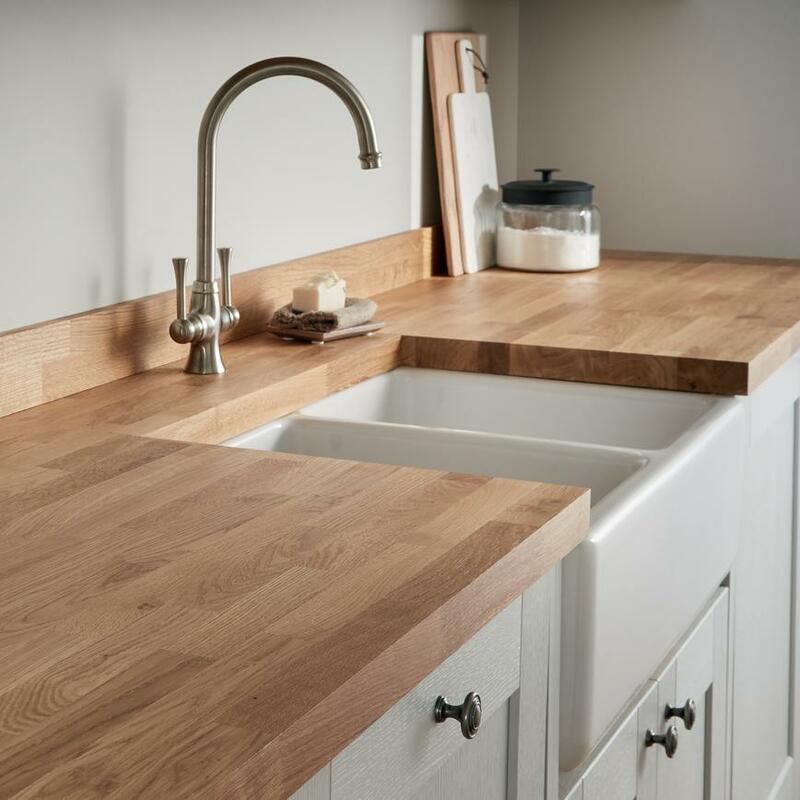 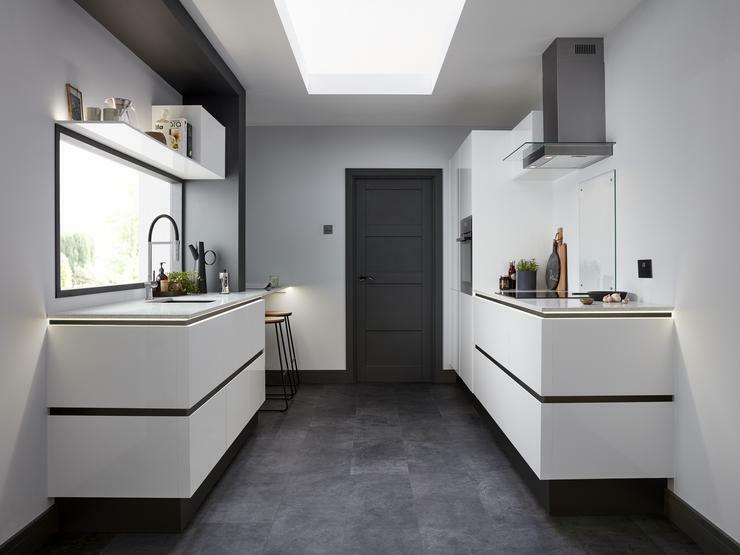 Introduce contemporary design alongside traditional elements with a combination of white glass effect and oak block worktop. 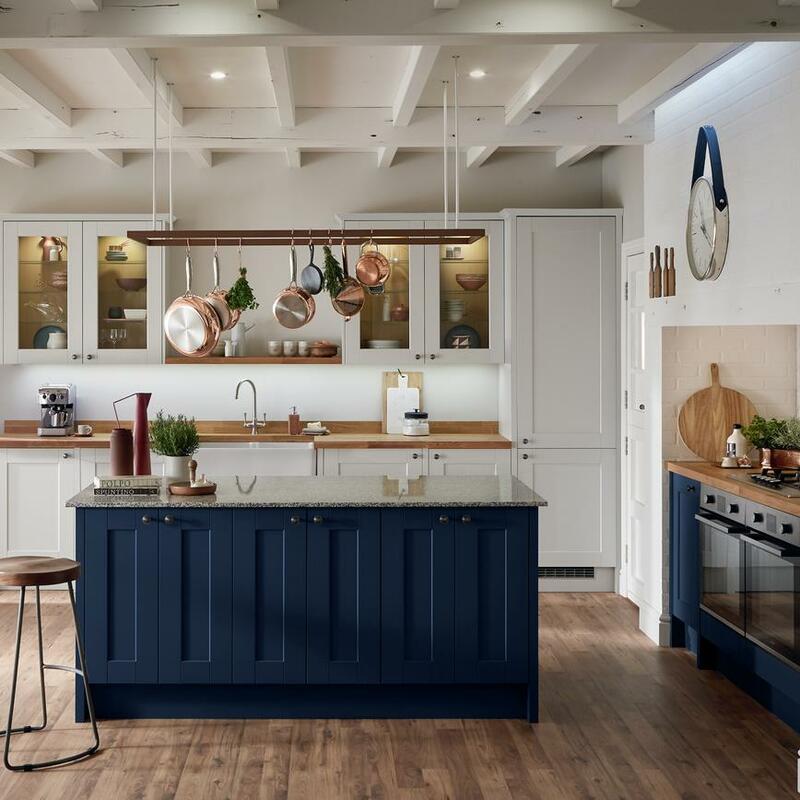 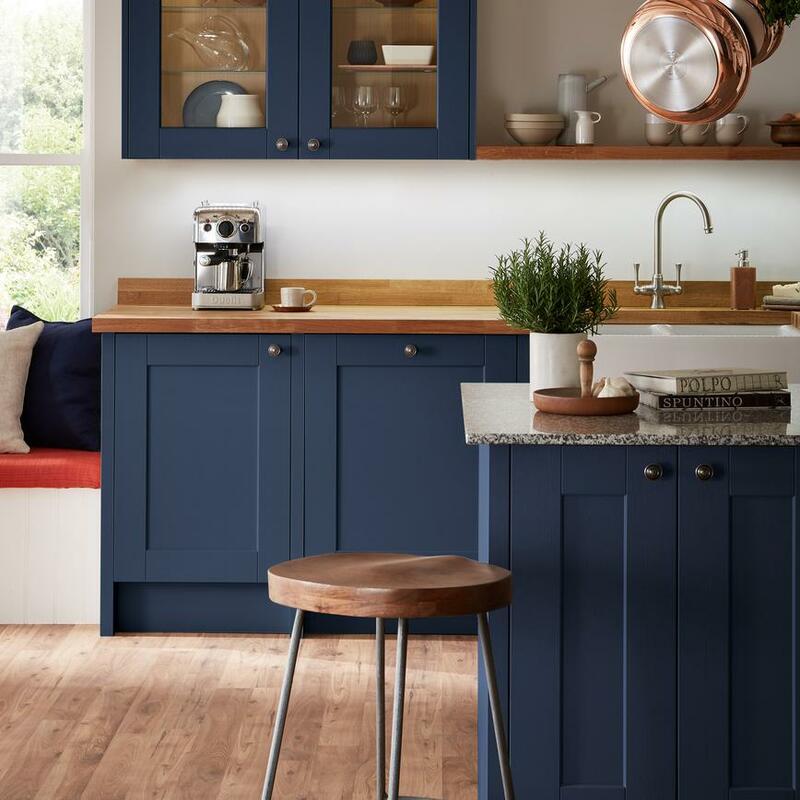 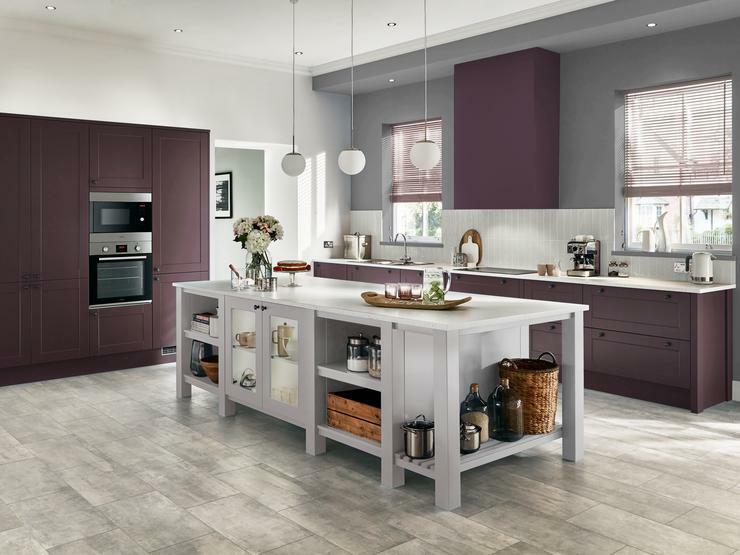 Light grey oak laminate flooring mirrors the grain of the cabinet doors and is easy to clean.Create more space for cooking and dining with an island, which can incorporate a ceramic hob and built-in breakfast bar. 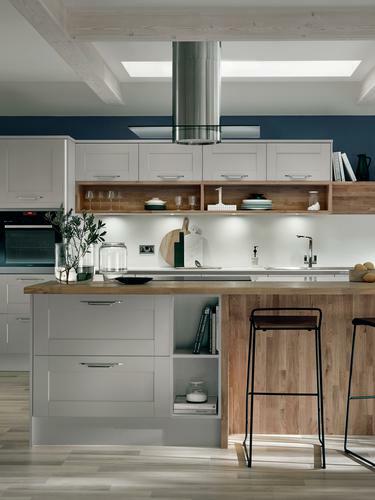 Choose chrome-effect trimline handles to add understated metallic accents to the cabinet doors. 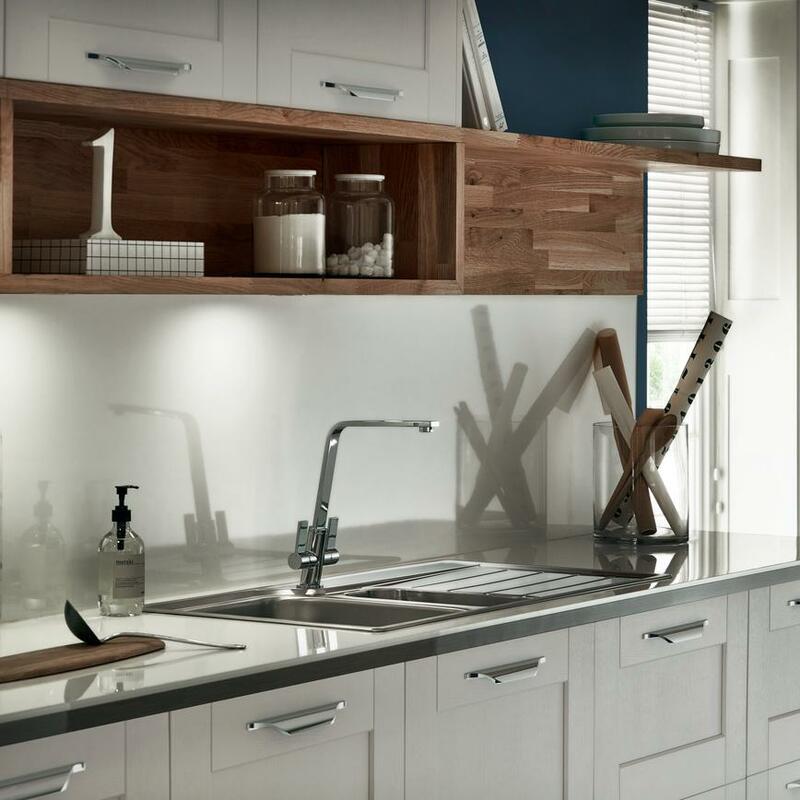 Then add downlighters to illuminate the work surface.